Below is the Speech of Bangko Sentral ng Pilipnas (BSP) Deputy Governor Nestor A. Espenilla, Jr. and the Inaugural Address of RBAP President Vittorio Z. Almario, which were delivered last 12 July 2013 during the Inaugural and Induction of RBAP Officers and Directors held at Hyatt Hotel, Manila. Manila Times —THE Rural Bankers Association of the Philippines (RBAP) is looking to capitalize on the projection of a strong growth in the mobile banking business this year, driven by the continuous flexibility of carriers to adapt according to market needs. RBAP President Ian Eric Pama said that rural banks will utilize the advantages of cellular phone-based banking in order to hurdle geographical barriers for the industry. “Now, more than ever, we should use mobile banking to reach out to our clientele and deliver our service to them. If the prognosis of research firms is correct, then we should ride this wave as much as we can,” he said. 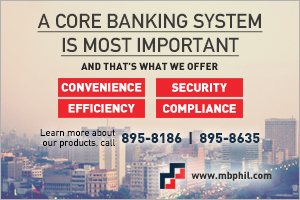 “RBAP has long been an active proponent of mobile banking. But with forecasts backing us up, they give the association’s vision more fuel,” he added. Information and Communications Technology (ICT) research firms see a big jump in the Philippine mobile banking industry this year. Based on its 2012 predictions for the Asia Pacific Region, ICT research firm XMG Global, founded and headed by Filipino-Canadian Lauro Vives, said that the region will be the world’s fastest growing mobile and broadband market with over 3 billion connections this year. According to XMG, the growth will be driven by three factors: continuous efforts of telecommunications companies to invest an average of 17.4 percent of revenues into capital expenditures to meet emerging demand; variety and flexibility of payment and billing schemes; and low-cost handsets. In the Philippines alone, Smart Communications and Globe Telecom are investing close to P100 billion to upgrade their networks. In addition, another leading ICT research firm, Gartner, Inc., said that the Philippines is one of only two countries—the other is Kenya—that have successfully implemented mobile payment solutions in micropayments services to distribute money in far-flung areas. Telecommunications companies like Globe Telecom and Smart Communications have long been employing GCash and Smart Money, respectively, in micropayments services. Smart affiliate Sun Cellular also has its Mobile Pay platform which caters to small and medium scale industries, and small businessmen. Gartner said that unlike in developing countries, payment schemes using cell phones have been accepted here especially in rural areas in lieu of using cash or credit cards, with the latter remaining largely underutilized. The research firm attributed the success of the Philippine model to the decision of local carriers to adapt their strategies to local market requirements and conditions instead of making the market adapt to them. Industry experts see mobile banking as the future of rural banking and microfinance especially in remote areas. With mobile phone penetration rate expected to rise to 98 percent by 2015, this gives banking services a broad market base to work with for years to come. Mobile banking provides a more secure way of making transactions instead of the risk of carrying cash, making one’s cell phone a virtual electronic wallet that can be used for various transactions via text message, like paying bills, purchasing goods and services, and receiving even salary via text-a-sweldo or remittances from abroad via text-a-remittance. In the provinces, mobile banking also bridges the geographic challenges of banking—where banks are usually located in town centers, far from clients who are often in far flung, often inaccessible barrios. “Microentrepreneurs have utilized mobile banking to the hilt, which used to be an exclusive domain of big businesses. Using cell phones to send and receive money has changed the way rural microentrepreneurs operate and make a living, it has added another positive dimension to doing business in the provinces” said Pama. “For rural banks, mobile banking provides them with more services and broadens their client base. It also reduces interest and transaction costs for their clients and it is much more secure and simple to use. After all, text messaging is so easy do,” he added. Since 2005, RBAP’s member rural banks and Globe Telecom’s G-Xchange Inc. (GXI) have processed over P14 billion in GCASH transactions facilitating greater access to banking services in the rural areas. This number is expected to increase this year as rural banks partner with GXI to offer PowerPay+, the first payroll service linked to a mobile wallet with insurance coverage, to better manage payroll in the countryside. It comes with an ATM card allowing withdrawal of salaries from any of the 9,000 ATMs nationwide. Employees also have the option to get their pay from the thousands of GCASH outlets using the GCASH-registered SIM linked to their ATM Card. With PowerPay+, they can take charge of their salaries, get financial security for unforeseen events and enjoy GCASH mobile money services like buying load, sending money and paying bills conveniently. RBAP has also signed a collaborative agreement with Smart Communications and recently launched a series of training courses to assist member rural banks to provide money-in and money-out services as well as facilitate the distribution of Smart Money instant cards to rural bank customers in the countryside. The benefit of the Smart Money card is that it is an ATM and MasterCard Debit card linked to a Smart Money wallet. 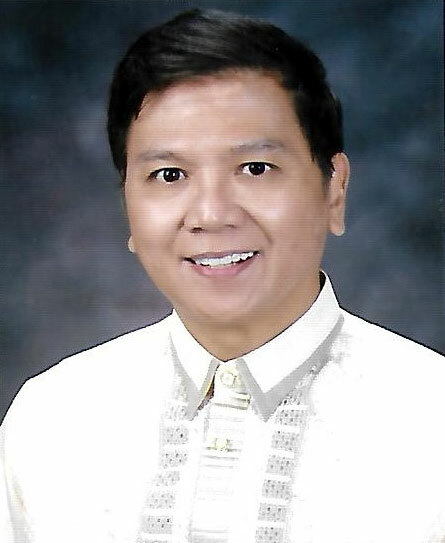 “We thank the support of our Telecom partners, Globe and Smart Communications, and the support of USAID [United States Agency for International Development] for the RBAP-MABS [Microenterprise Access to Banking Services] program which has helped us to make this dream a growing reality,” he added. Meeting with USAID representatives regarding experience of rural banks with mobile banking. Gave the welcome address in the RBAP MABS 11th National Roundtable in Hyatt Hotel, Manila. Panel Resource Speaker during the RBAP MABS Roundtable day two in Hyatt Hotel. Welcome to the launch of the Transparent Pricing Initiative in the Philippines led by MF Transparency with sponsorship support from the Rural Bankers Association of the Philippines, and the Microfinance Council of the Philippines! We see emerging economies strengthen institutional mechanisms to provide equitable economic growth for society, especially for its most disenfranchised citizens. These efforts hinge on principles such as truthful messages, ethical practices, and fair dealing. These principles are most often visible in how businesses, especially financial institutions, employ accuracy in their marketing materials, open communication with stakeholders, and above-board dealings with their customers. In banking, the “Truth In Lending Act” that is required to be posted in the bank’s premises is the most obvious legal expression of how accuracy, transparency, and fairness should be practiced. These same principles are true for all institutions whether they are a bank, NGO, credit cooperative, lending investor or a pawnshop. The Philippines microfinance industry can generally be proud of their consumer protection practices, but we feel that pricing is an area we can improve on. As much as microfinance institutions want to provide an honest and accurate picture of pricing to our clients while stating the fees and nominal interest rate. The truth is that it is hard for our clients to have an accurate picture of the effective interest rate they are paying. 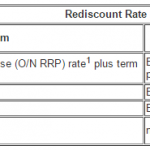 In addition, clients are really not able to compare rates offered by various institutions. But since our lending practices are already well documented, we cannot avoid the reality that price soon becomes an issue especially as competition is much more prevalent today than in the past. Sooner rather than later, we all need to face pricing questions from customers, regulators, and political leaders. They will ask tough questions about the industry’s pricing of its products, the truthfulness of its explanations, and its fairness to its customers. I therefore welcome this initiative as a timely event to focus our minds on the impact of pricing issues on MFIs. We only need to look at other countries’ experience as they grapple with concerns about microfinance practices, especially the pricing of credit products and criticisms about the perceived profits being generated by financial institutions and MFIs trying to support the poor. In short, the issue of pricing is symbolic of the industry’s need to be proactive and to show that we as an industry are committed to serve our customers in a highly ethical and open manner. By doing so, we are better prepared to overcome and address criticisms leveled upon the industry. Some of these criticisms are often based on misunderstandings about the higher costs of servicing small loans that often necessitates higher interest rates. Though we understand the rationale for such pricing, the public may not. Therefore, we must rise to the challenge as we engage our community and educate them more about our practices and pricing. So once more, I commend MF Transparency for bringing this issue front and center among rural bankers and other MFIs in the Philippines. We need to show that we as an industry continue to be concerned and interested in our clients and that we are willing to take proactive steps to demonstrate this commitment. Now is the time to make a good effort to become better partners to our customers. By demonstrating our seriousness in tackling these issues, we show to the world that the Philippines microfinance industry is at the forefront of change and remains among the best. We are now rated as the second best country for microfinance in the world, With this and other efforts to work together to support a healthy growth of the microfinance industry in the Philippines, may we be considered number 1 in the world! ATTENTION: Early bird registrants have been extended until January 31, 2011. Attached is the new circular with revised date. For inquiries, please call Ms. Jocelyn S. Turla at telephone number (045) 982-3506 or Shalie Y. Recaido at telephone numbers (02) 527-2972 or 2980 or e-mail through signabnk@yahoo.com or recaidoshalie@yahoo.com or log on to www.rbap.org. Around a week ago, together with representatives of the Thrift Banking and the Commercial Baking sector, I was invited by the Governor of the Bangko Sentral ng Pilipinas for the MOA signing on the BSP’s program, “Banking On Your Future.” The members of the Monetary Board were also present and so with senior officers of the BSP. When the emcee of the program announced that the huge table we were going to use for the signing ceremonies was the Malolos table, the same table which was also used by our founding fathers in the Philippines’ Declaration of Independence from Spain over a hundred years ago, my reaction and the reactions of the persons seated closest to me were un-mistakenly one of surprise and awe as right in front of us was a table filled with so much of our country’s history. Since the Declaration of Independence over a hundred years ago, our young country’s history, like all tales of young countries, has been full of highs and lows. Although there may have been one or two periods in our history which some of us would rather not talk about, there are however so many more which we are proud of and many more we want to tell and re-tell when the occasion warrants. A little over 50 years after the Declaration of Independence from Spain another historical milestone was set in the enactment of the Rural Banks Act under the administration of President Quirino. And such is the important role and responsibility of rural banks that has been envisioned by Congress when they enacted this law in June 1952. The past ten years has seen rural banks making great strides in providing access to financial services in the countryside. With over 2000 branches in the countryside, a substantial number of these branches in conflict areas and hard-to-reach areas, rural banks are now servicing 6 million deposit accounts and millions more in loan accounts. As we have been servicing a growing number of deposit accounts in the countryside, the industry now has started to make use of other delivery channels like ATM’s, Electronic Fund Transfer Point Of Sale system and Mobile Phone Banking. We now have about 252 ATMs installed in 50 rural banks. At the rate we are installing ATMs, rural banks would probably have over 350 ATMs operating in the countryside by the end of the year. Rural Banks have also shown flexibility and willingness in applying new paradigms and models in the area of the delivery of financial services in the countryside and in adopting to new business realities. Ten years ago , when the micro-credit technologies introduced by the Micro-enterprise Access to Banking Services program (MABS), and the ones championed by the Nobel Prize winner Muhammad Yunus of the Grameen Bank in Bangladesh, rural banks because of their better understanding of the countryside and the informal sector, saw the opportunities offered by these new models and readily adopted these to their operations. This happened when most experts thought that the poor was un-bankable and that using these micro-credit models was simply not sustainable. Today, the same experts are singing a different tune as the rural banking sector has shown not only robust asset growth and strong capital build-up but also viability and profitability in the sustained increases in its Net Income After Tax and Return to Assets and Equity. To achieve the goal of poverty alleviation and reduction however is not an easy task. Microfinance as an effective poverty alleviation and reduction program has 3 sides namely: micro-credit, enterprise development and micro insurance. We have seen great strides in the development of the first two, but we are left wanting in the area that shall assure and provide the social protection that in case of a peril or tragedy the poor will not become poorer or those who have succeeded in improving their lives will not become impoverished once again. There are also regulatory issues which we are going to take up with other government agencies which some say discriminate against rural banks. We also have to raise some tax issues with the Department of Finance such as the imposition of the P 15.00 documentary tax for every certificate of insurance with the view of reducing the cost and lowering premiums. As the primary vehicle for countryside development, the new board would also advocate for the enabling environment that would further enhance the agricultural sector. This sector could further be strengthened, for example, by requiring a gradual reduction in the amount that could be substituted by banks and regarded as compliance with the Agri-Agra Law. On agricultural credit, for example, by requiring no substitution for at least 20% of the required 25% that should be earmarked by banks for agri and agra loans — let us say the total outstanding loan portfolio of the system is P 2 trillion — 20% of 25% would be P 100 billion which is at P 1 billion for every province in the country which is much more than what the government provides as agricultural credit. If this is allocated to temporary crops like rice which has life cycles of less than a year as contrasted to permanent crops, this would mean at least two loan cycles or a loan portfolio of P 2.0 billion. Government currently allocates around P 30 billion in agri credit coming from the General Appropriations Act. The National Government can thus save this money and instead allocate this by way of support to agriculture through the provision of infrastructure, pre and post harvest facilities, roads, markets, processing plants, irrigations, etc. The other side of the coin of the advocacy is that big banks need not be retailers of these loans and may opt to be wholesalers of these loans and make Rural Banks the retailers. There is still so much to do to uplift the lives of the impoverished and the most vulnerable in the rural areas. With the deteriorating peace and order situation in many parts of the countryside, this has made our jobs doubly difficult. But with a supportive regulatory environment and assistance from programs like the Microenterprise Access to Banking Services, I am confident these challenges can and will be surmounted. With the festive decorations that surround us exuding joy and gaiety, Christmas has truly arrived. And I would like to be among those who will convey to you the eternal meaning of this blessed season of love, peace, and joy. The travails and challenges that has assailed us, both as individual bankers and as member-banks of our Association, should not deter us from our goals but instead it should be our beacon that will illuminate our way to greater achievement. The Nativity of our Lord Jesus Christ is both a celebration of hope and salvation. His Birth signifies the nurturing of man through trials and tribulations to emerge victorious by His Grace. His Coming into the world embodies His Love and Salvation for mankind. And by His Divine Light, He has strengthened man to rise above his frailties and seek the goodness of his fellowmen through His Guidance and Inspiration. As we end another challenging year in the rural banking sector, we manifest our thanksgiving to the Lord who has kept us together in His Care despite the tremendous difficulties and burdens we have encountered. By His Mercy, we continue our journey towards banking excellence and prominence that we may share these benefits with the greater number of our people. And by His Grace, we shall always seek the providence for the welfare of our sector and our member-banks despite the obstacles that aim to impair these intentions for our collective good. On behalf of the 2007-08 RBAP Board of Directors and Officers, we convey our heartfelt greeting of A Blessed Christmas and a Meaningful New Year to you, your family, and your loved ones.